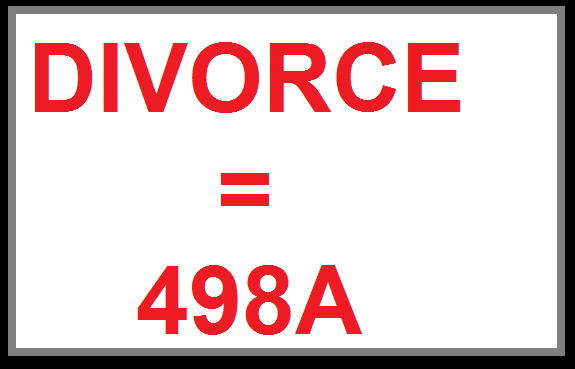 A 498A Survivor : Filing divorce for Men in India is not only dangerous but outright toxic!! His wife filed a criminal case on him and his elder sisters only because he sought divorce because of her unreasonable demands. He was incarcerated for 10 days because of this alleged crime. He lost his job, career and peace. But he did not relent. He fought and he won. Read the story of another man falsely accused under 498A, whose life changed forever due to law abuse. I have not mentioned the person’s name as it might affect his pending litigation adversely. 1) Share with us your case in brief. Like when did you get married, why did things fall out and reason for 498A. I got married in February 20**. It was an arranged marriage. They responded to our advertisement in newspaper seeking a suitable match for me. My native place is located at suburban ******. My wife’s paternal house is located around 18 kms from my native place. I had been staying out of my state for last 15 years. Before marriage, I made it clear to my (would be) wife that I would remain outside my state till I take retirement from service. Simultaneously, I also requested for her passport to be made as I explained to her that during the course of my service, we may also relocate outside India. I also shared my plan that post retirement, I am definitely going to come back to my native and stay there. She did not object and was in complete agreement, throughout. We got married and after spending six days at my native, we relocated to *****, where I was posted at the point of time. We went for honeymoon and came back. Things were good till she started insisting that I should relocate to our native, close to her paternal house. I was shocked when she said that her father has told her that after marriage husband listens to her wife and it would be easy for her to force me to relocate as per her wish. I did not agree to her proposal for obvious reasons as it did not suit my career plans. More so, I felt cheated as we frankly discussed everything before marriage and she did not object at that time. This relocation became a major point of disagreement and finally culminated into issues that lead her to file the case u/s 498a & 406 with false allegations against me and my married elder sisters. 2) Your case involves unreasonable demands by your wife. Please elaborate on that and what did you suffer as a consequence? Was there abuse and violence involved when you disagreed with her or did not bow down to her demands? In the year 20**, the organization I was working for at that time, nominated me to work from their US office. They processed my work permit (H1 Visa) and I was supposed to relocate with my wife next year. I shared the same info with my wife. She agreed but put forward her unreasonable demand that I need to take my parents-in-law along with us. I tried to reason with her that technically it is not feasible at that point of time. However, she was adamant that either I should take my parents-in-law along with us or I should give up this opportunity. She further insisted that she is not ready to stay with me at place of my posting at that time as well if her parents don’t stay with us otherwise I must relocate to her paternal house. She was pregnant at that time and unilaterally declared that I and my family members would not be allowed to see the baby till I agree to her demands. Her parents in concurrence with her warned me that there would be legal consequences as I am spoiling their daughter’s life and my sisters’ married life shall not be spared too. Prospect of rewarding career opportunity being vanquished in bud before it could have blossomed, imminent threat of criminal cases on self & married elder sisters that could put their family life into complete disarray and ultimate deprivation in not being allowed to see own child, made me suffer severe mental agony which is inexpressible by words. 3) Who all were implicated in your cases and what were the main allegations? My elder sisters and I were implicated in the 498a/406 case. Both of my elder sisters were married prior to our own marriage and were settled at their matrimonial home at different cities. The allegations were like this – My elder sisters used to advise me over phone, to commit physical and mental torture on my wife and I used do such torture on her. I used to keep her confined in a room. I did not take proper care of her during pregnancy. I did not provide her with food and medicines and I did torture on her by taking her for checkup with doctor, multiple times. I used to force her do all domestic works. I did not allow her to talk to her parents over the phone. I throw water on bed and forced her to leave the bedroom. 4) Did you have to go to Jail? How did that impact you as a person? Yes, I was taken in judicial custody. I spent 10 days in custody. It is difficult to gauge the impact though I can say for sure that something inside me changed for ever. I would not be able to get over the ignominy and social stigma of being in jail for rest of my life. My reputation, reputation of my family name got ruined. My wife alleged that my sisters advised me to force her to go for regular medical check-up by different physicians during the period of her pregnancy and this was nothing but torture for her. Regular Medical check-up during pregnancy is normal and advised by Doctors. However, my wife alleged such check-up as torture and cruelty on her as contemplated under section 498A of the IPC. I filed for divorce from her and she alleged that such divorce petition was mental cruelty on her as contemplated under section 498A of the IPC. The right to marry or being aggrieved pray for dissolution of marriage is borne out of civil rights and cannot be construed as criminal offence but still I was charged and tried. 6) What’s your opinion on a husband filing for divorce in India? Do you think it’s highly dangerous? Does he have any options? A husband can always file for divorce but under present legal scenario in India, he needs to realize that by doing so he is opening the flood gates of legalized harassment and extortion on him and his family members. On a counter blast he shall receive all kinds of cases, the judiciary is going to look down upon him and penalize him at every step and his woes are not going to end there. He will be alienated from his child. He may end up losing is job and further get penalized for his inability to fulfill exorbitant demands of maintenance. Filing divorce, for Men in India is not only dangerous but outright toxic. And most importantly, there is nothing like a contested divorce for Indian men. Under present family laws and related legal setup, a married Indian man is a sitting duck in case his marriage is on the rocks. It doesn’t matter if he is at fault or he isn’t. Invariably he will be considered as the perpetrator of marital violence and his wife innocent victim of such atrocities. 7) Were there any demands made by your wife to settle these cases? What were they? Yes there were demands. I need to compromise. I need to be in control of her and her parents. I need to stay at her paternal house. 8) When did you decide that you will fight? What made you take that decision? My wife left the matrimonial home in my absence. After giving birth to our child, she did not allow me to see the child and threatened me with more cases if I attempt to visit her and the child without agreeing to her demands. I received a severe emotional jolt that helped me firm my resolve to fight against this legal terrorism. Simultaneously, I got in touch with SIF (Save Indian Family). After talking to fellow SIFIANs, I got the courage and the resources to take on the ‘Legal Terrorists’. 9) How did you fight? Any advice you have for people who are fighting false cases? This fight is more against self than anyone else as it is 90% mental and 10% legal. First and foremost I had to lose fear. I realized that nothing worst can happen to me. I equipped myself with legal knowledge to be in a better position to tackle and navigate through the legal cobweb. My advice would be to keep things simple. Be confident. Be fearless. The case is false and you need not to do anything but speak the truth. Rest all will be taken care. 10) You won your battle relatively quickly. How did you manage to do that. Any advice for people who also wish to get quick justice? Before everything, I had to make up my mind that I am going to end the criminal case and not let it linger. I studied the different remedies available vis. a vis. time required and concluded to stand trial as it came out as the cheapest and quickest way to end this ordeal. As the trial commenced, I had a two pronged approach. I sought speedy trial before the Court and simultaneously worked in the background personally, to remove all the possible latches which normally is taken care by advocate’s peon or juniors. My advice to others would be having proper communication with advocate by giving clear instructions. Don’t miss court dates. Be present inside the court room and raise your concern, if any in a polite manner. It’s your case and you need to take control of it. 11) You lost your job, very precious years of your life and also opportunity abroad. Who would you blame for that? Do you think anything can makeup for that pain? I would blame my wife’s lawyer who ill advised her to file this criminal case, the Learned Court which took cognizance without applying its judicial mind as mandated by the law. I blame the legislator of this country to frame such a law which is so easy to be misused and absolutely no consequences on misuse. I blame my wife for not being honest with her intentions before marriage. And lastly I blame myself for not being informed enough to know how easily my life can be ruined by being married under present legal system in India. Nothing can makeup the loss I faced. But Yes my pain could have been alleviated to some extent if the court while declaring the case against me being filed with “malafide intentions” and was “abuse of the process of law”, would have also created a precedent by ordering appropriate proceedings against my wife, which would passed a message to the society that such misuse would not be tolerated in future. It would have spared a few innocent lives in the future. 12) Did the judge even after writing so clearly that the case was false, announce any punishment for your wife whatsoever? No. No punishment was ordered for such gross abuse of the process of law. 13) Do you think that’s an injustice to you? I would not stop at calling it injustice but it is a tight slap on the face of the judicial institution as unscrupulous people get encouraged when they observe their misdeeds getting unpunished. And honest people lose faith and respect for the institution itself. 14) Now that you have won, what are the future plans?? Have you become scared of marriage? I have won the criminal case only. There is a pending case of maintenance and divorce. I have a child too for which I intend to seek physical custody. Winning the criminal case automatically doesn’t put a favorable end to the other cases. I need to go to each court and re-establish my innocence. Such is the system. I may still have to end up paying maintenance to a wife who admittedly filed a false case on me. I may still be alienated from my child without any fault of mine or the child. I am scared and scarred. My ability to trust is the ultimate casualty. I know that all women are not at fault. But I do not know how to identify the woman who won’t misuse the benevolent provisions of law when there is absolutely no consequence for such misuse. However, I do see some light at the end of the tunnel. My association with SIF has given me a new found purpose in life i.e. to stand by the side of the men who fall victim to such legal abuse and share my experience to help them overcome their hour of distress. Editor’s Note: The Judge has not passed any directives for any kind of punishment/fine/ to the wife in this case or a compensation to the husband. Two women who were married had to suffer a criminal case for no fault of theirs but that also doesn’t warrant any action on the woman who filed this case. If laws are allowed to be such blatantly misused, this entire quest for equality is a fake facade. ← He is fighting his battle of Marriage. He is winning it Step By Step…. I see that you specified that you prepared yourself with legal processes and laws. How did you do that? 90% of such cases are instigated by the wife’s parents and her lawyers. Lawyers make good money out this case. But the stupid wife screwed the husband’s life, her life and the child’s life. Her parents will die in few years. What after that? Stupid woman, didnt have capability to think.